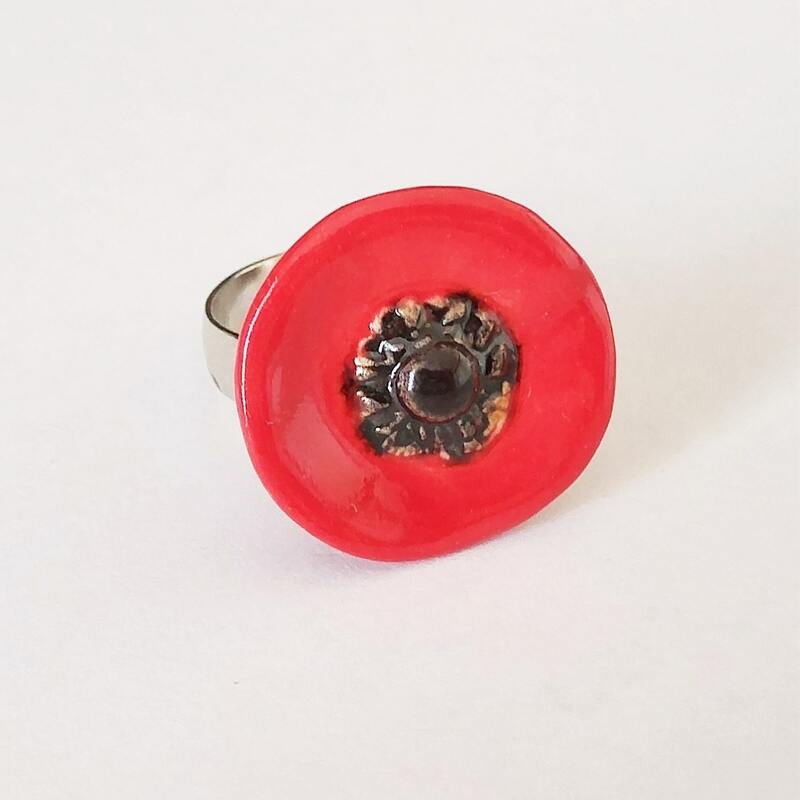 Make a statement with this BRIGHT RED CERAMIC POPPY RING. 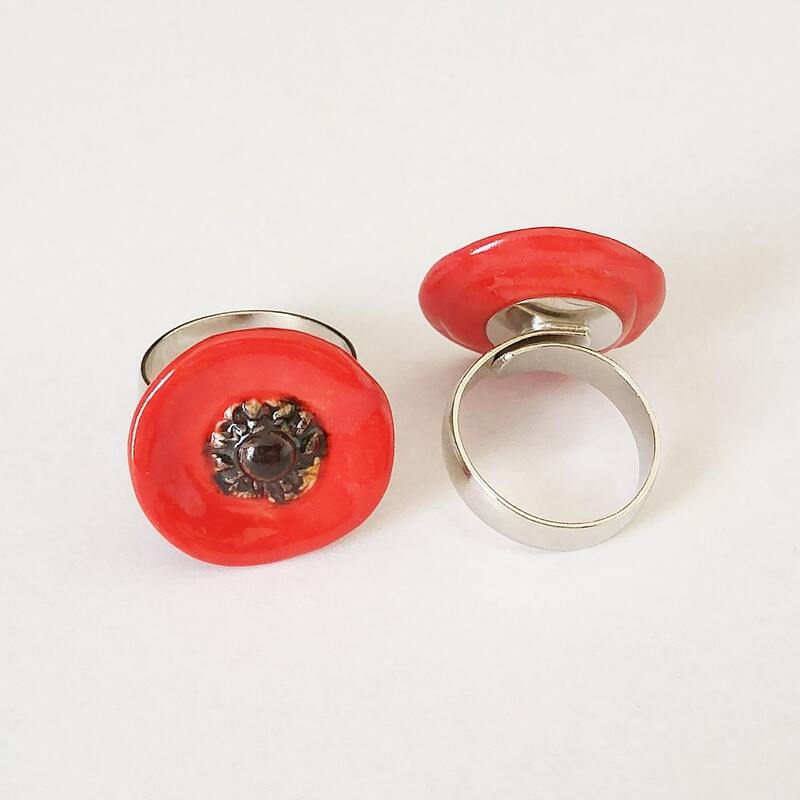 I created these red poppies from stoneware clay, then securely attached them to a top quality, silver-colored heavily plated over brass ring. 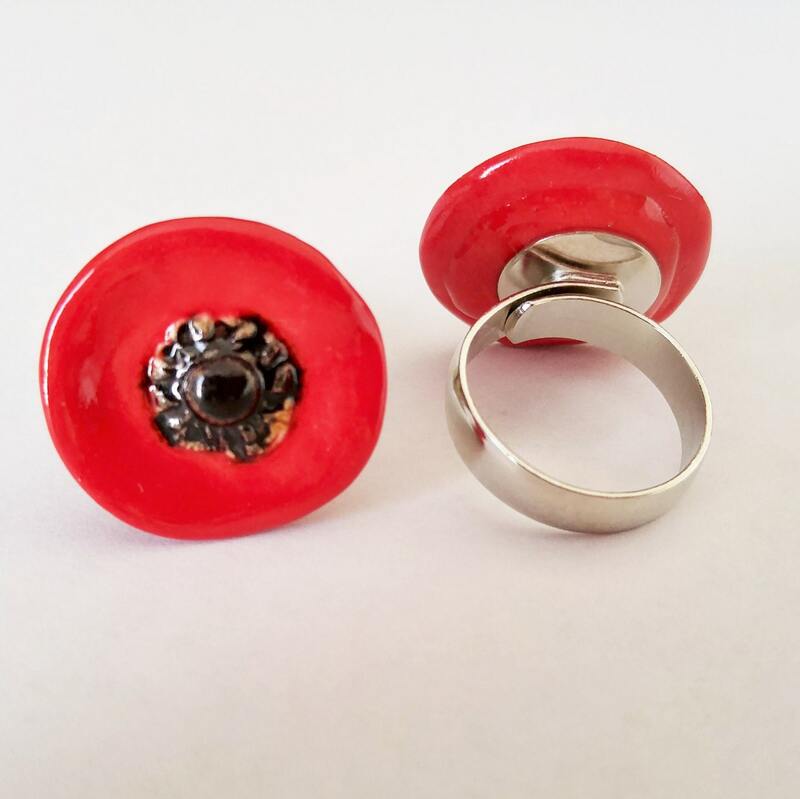 The ring is nickel lead-free and best of all, ADJUSTABLE!! These ring bands were made to be adjustable from underneath, so it isn't visible. And, because the adjustment is underneath the poppy, there is no pinching on your finger! The ring adjusts from size 5 to size 10 and is very sturdy. 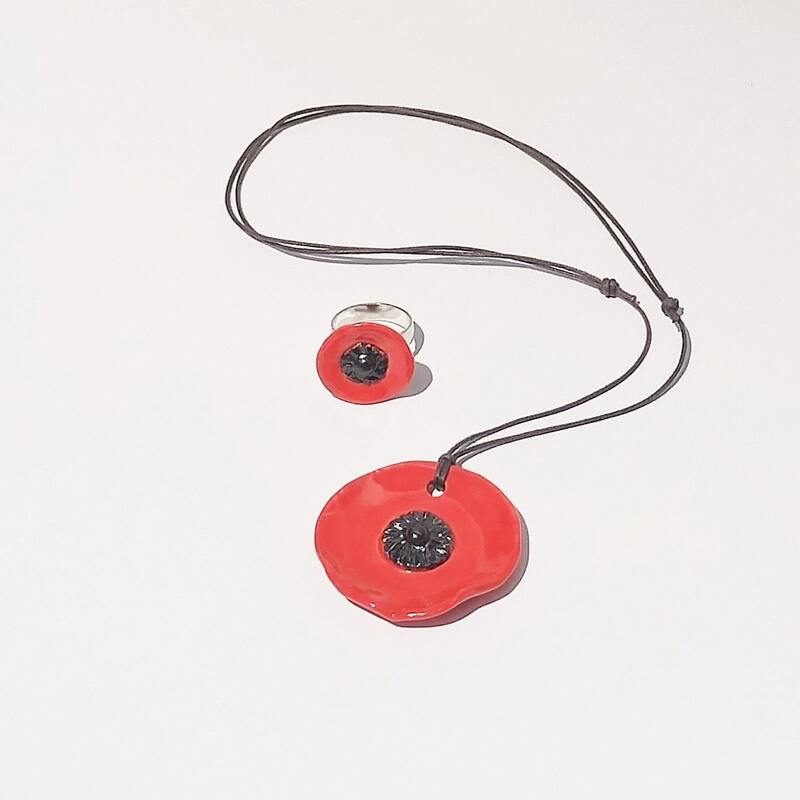 Did you notice the Red Poppy Pendant Necklace pictured above with the ring? Yes, I have those available too. 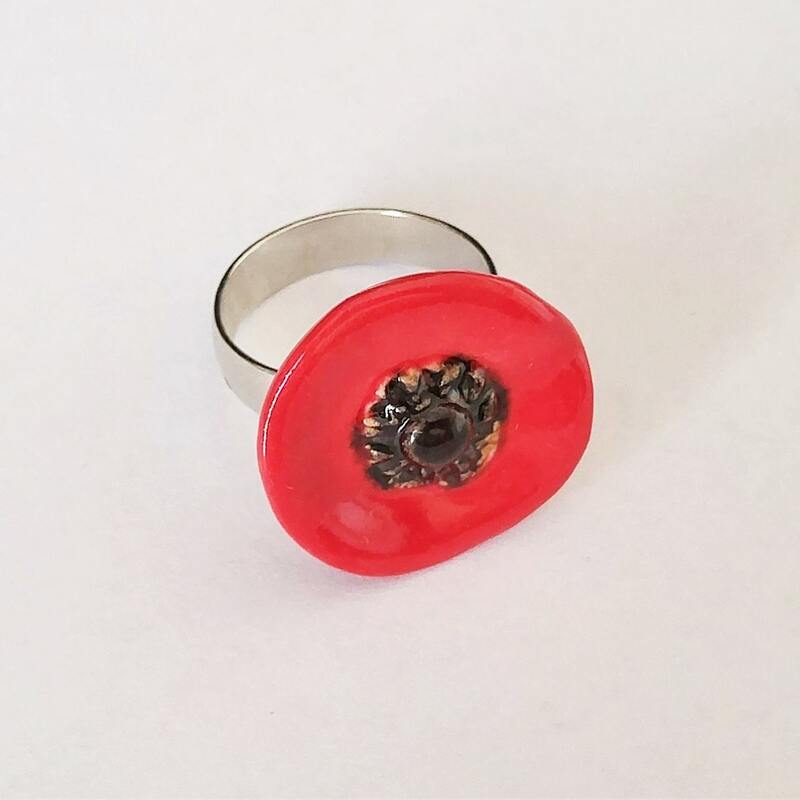 This listing is for one (1) red poppy ring, but you can choose your quantity above.